MINNEAPOLIS — Toronto FC seemingly can’t stop teams from scoring against them in the first half. 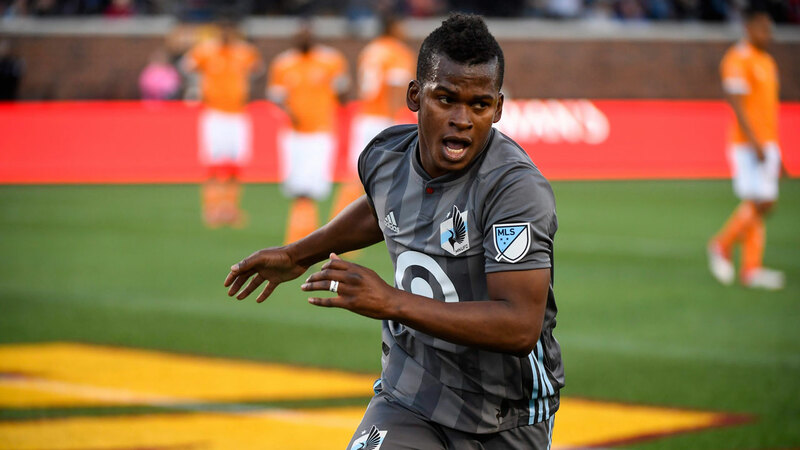 Darwin Quintero scored three times for the first hat trick in Minnesota United FC history, helping the Loons beat Toronto FC 4-3 on Wednesday night. Quintero’s first goal of the night came eight minutes into the match and Miguel Ibarra also scored for United in the 13th minute. TFC has conceded 10 goals in the first 15 minutes of games this season, worst in Major League Soccer. "We give balls away that we shouldn’t, we can’t make plays to put fires, we’re a little bit deep in moments. I can’t put a finger on it," said Toronto FC captain Michael Bradley. "There’s a lot of different reasons. You can look at each goal and ultimately talk your way through it ten different times. The frustrating part is that in so many games, we haven’t given ourselves a chance. "We start the game down 1-0, down 2-0 too many times. You have to be able to play from behind in moments, but we have had to do it way too often this year." Toronto FC has conceded 34 goals at the midway point of this season. They gave up 37 goals the whole of last season, when they won their first-ever MLS title. Asked if his team could still make the playoffs despite sitting 10th in the Eastern Conference Bradley was terse.